Animation duo Arlene Klasky and Gabor Csupo and producer Paul Germain took the world into a universe of naivety and imagination when they introduced the Nickelodeon cartoon Rugrats and it's lead cast of babies in 1991 and the response allowed the show to live on for over 13 years and 172 episodes--an immense run for any kids animated series. But despite the popularity and the sheer number of episodes created, there has been a rather paltry selection of episodes released on home video in best-of collections. In fact more sets of the follow-up series All Grown Up are available than the main show. However, that's changed now that Paramount has released budget-priced season sets, starting with the first 13 episodes. 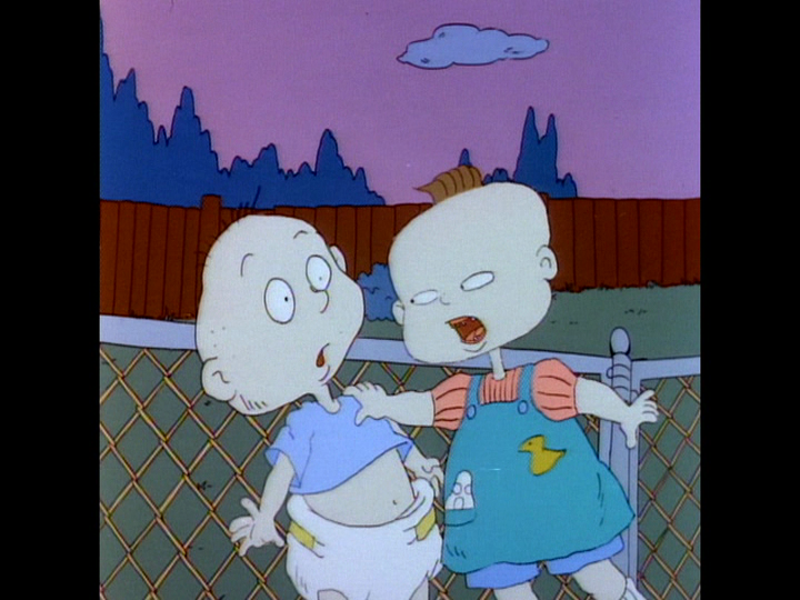 Finally, kids who grew up in the ‘90s (and the older viewers who tuned in as well) can reconnect with the rawest versions of Tommy Pickles, his family and his crew of fellow toddlers--ever-quarrelling twins Phil and Lil, neurotic, bespectacled Chuckie and Tommy's scheming older cousin Angelica--as the series finds its footing and establishes the characters, not to mention cleaning up the animation, which gets a polish throughout the first season. After a full storyline in the first episode, the show gets down to business of splitting each episode into two short stories, ensuring that whatever plot Rugrats decides to tackle, it won't outstay its welcome. The series follows Tommy and company on their misadventures, which uniformly arise out of their misunderstanding of the world around them, like trying to figure out how to get Halloween candy like the big kids do by screaming.There's a good deal of formula to the show in many episodes, as often Tommy will wander away from his oblivious parents, Stu and Didi, and luck his way through a series of pitfalls, only to wind his way back to safety. The disconnect between the babies' confident private conversations and machinations and their naivety drives a lot of the show's humor, along with the behavior of the adults, who can often be as childish as the kids (or more so). The first season doesn't have the recipe down yet that resulted in the show's better later episodes, but the elements start to be put in place, including the show's Godzilla stand-in Reptar, a unique integration of the Jewish faith via Didi's somewhat stereotypical patents and a willingness to experiment in displaying the kids' imaginations, as seen in episodes like the beautifully-animated "Slumber Party". Part of the appeal is certainly the trademark look of Klasky-Csupo animation, with its handcrafted aesthetic, but the talent of the cast, led by E.G. 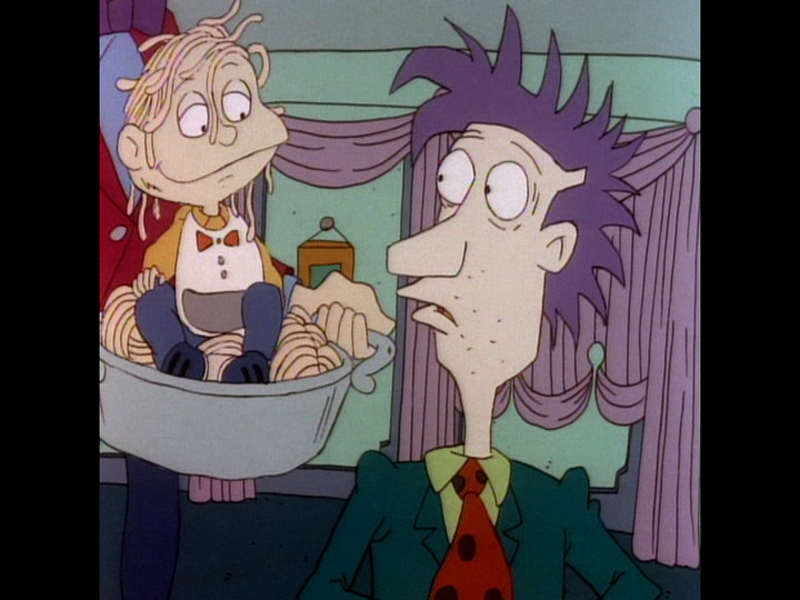 Daily as Tommy, helped make the show a longtime favorite, with plenty of recognizable voices, like Fridays star Melanie Chartoff as Didi, animation vet Michael Bell as Stu's brother Drew and the always enjoyable Christine Cavanaugh as Chuckie, not to mention cameos by Jeremy Piven and Chick Hearn. 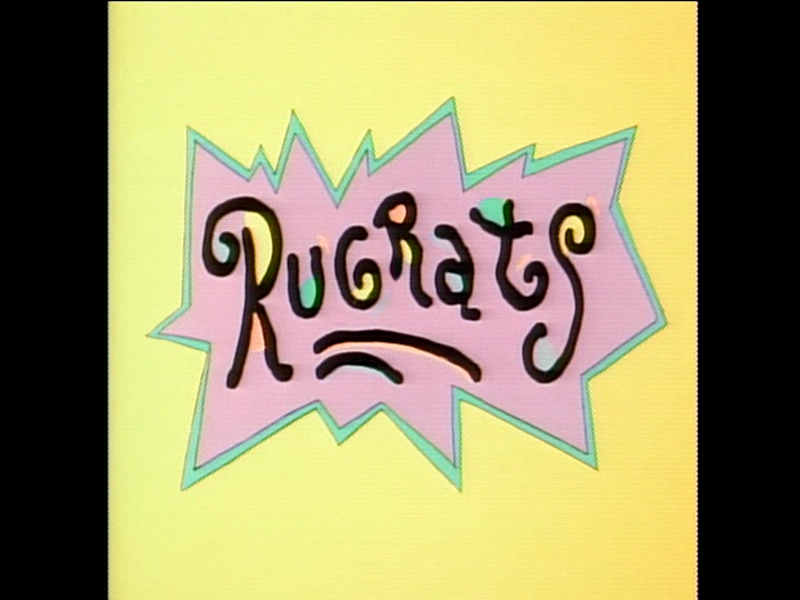 The first thirteen episodes of Rugrats arrive on two DVDs, which are packed in a standard keepcase with a tray for the second disc and an embossed slipcover. The discs have static anamorphic-widescreen menus with options to play all the episodes or select shows. There are no audio options and no subtitles. Presented in column-boxed full-frame, the transfers on these rough-hewn hand-animated episodes aren't doing the show's early animation any favors, with slightly dull color and frequent bouts of softness (which seem inherent in the footage.) There's some pixelation in the overlaid text, but overall the image isn't bad, with no obvious problems with dirt or damage and no notable issues in terms of compression artifacts. The audio arrives via center-balanced Dolby Digital 2.0 tracks, which aren't exactly going to shake your home theater, but they fit the show as it originally aired on Nickelodeon over 25 years ago. Voices are nice and clear and enjoy good separation from Mark Mothersbaugh's tone-setting tunes, making for a pleasant listening experience, with no concerns about distortion. In case you didn't notice before, there are no extras included in this set. 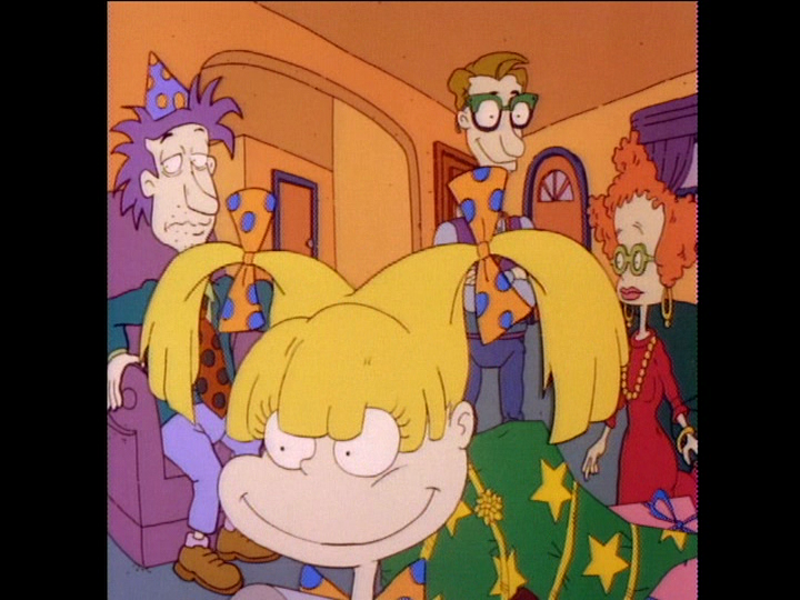 At such a low price, it's nice to just have a complete season of Rugrats available, even if the show didn't hit its stride until later in the run. This set is presented in decent shape (problems seem to be inherent in the footage) and offers no extras, but the show remains as entertaining as it ever was, especially if you're bringing some nostalgia to the party.